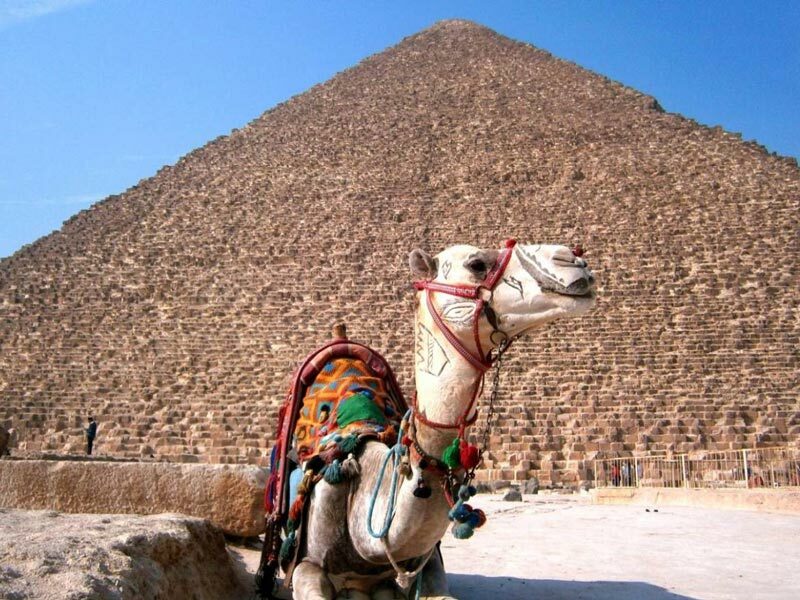 Tour Cairo and the Giza pyramids from Port Said with a private tour guide. Our tour guide will pick you up by a private air-conditioned car from Port Said- by the cruise door- to transfer you to Cairo where you will start tours in Cairo from Port Said. Our tour guide will pick you up by a private air-conditioned car from Port Said- by the cruise door- to transfer you to Cairo where you will start tours in Cairo from Port Said by paying a visit to the Giza pyramids, These pyramids contains one of the seven wonders of the Ancient World like Khufu pyramid which is the largest pyramid ever built by Khufu to be buried in. There was a widespread belief among the Pharaohs that the spirit of King Khufu took care of the pyramids even after his death, In addition to the pyramids of both Khafre and Menkaure. 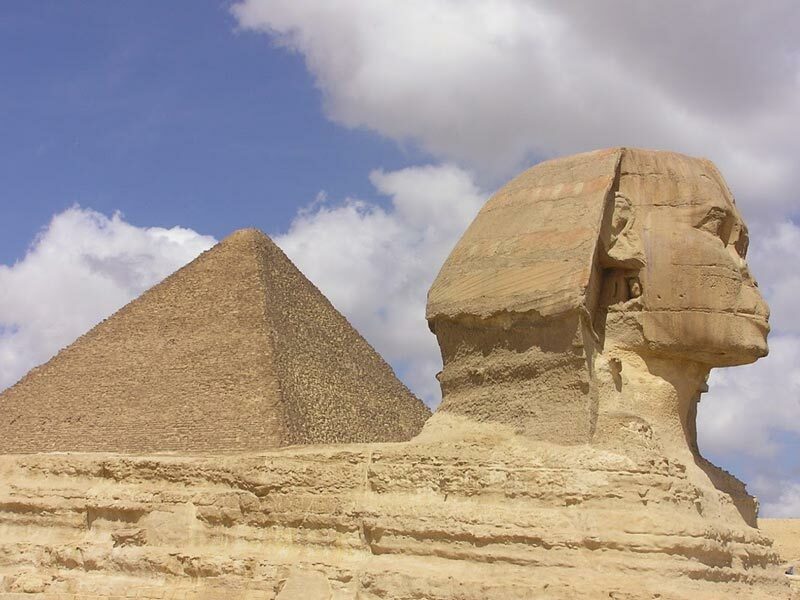 Then, move to visit the Sphinx where Egyptian scientists believe that the king Khafre the owner of the second pyramid of Giza, who ruled Egypt before 4500 years was the one who built this statue and gave him his head. It is 73 meters long, 6 meters wide and 20 meters high. 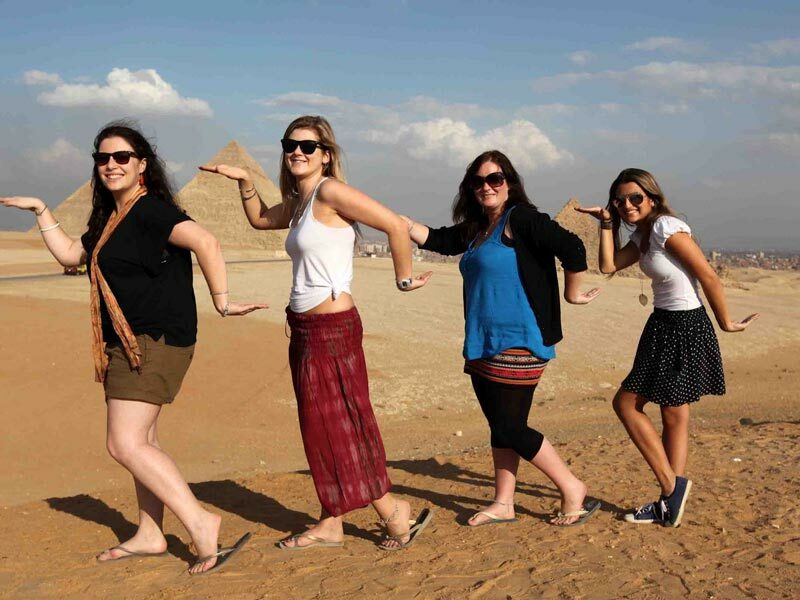 Afterward, move to finish your tour to the Giza plateau by visiting, The Valley Temple, which contains the tombs of the 18th Dynasty, and until the end of the twentieth Dynasty. The number of tombs carved in the valley is twenty-six tombs for the kings of that period. Then, proceed to a Nile view restaurant to have your Lunch. 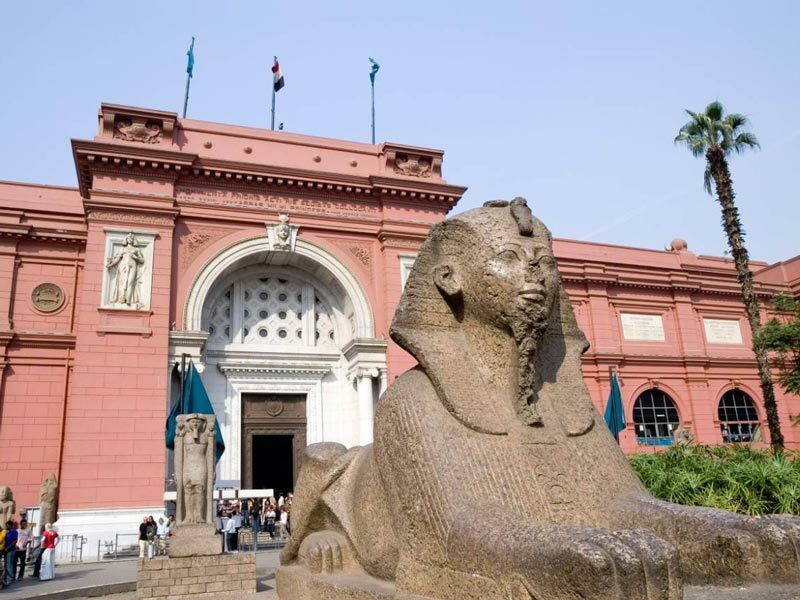 Finally, end your tours to Cairo from Port Said by visiting the Egyptian Museum which was built in 1835 by Frenchman Auguste Mariette, who designed the museum in front of the Nile River, but some of the monuments were exposed to floods until Gaston Maspero came and opened the museum in 1902 at its present location in Tahrir Square. 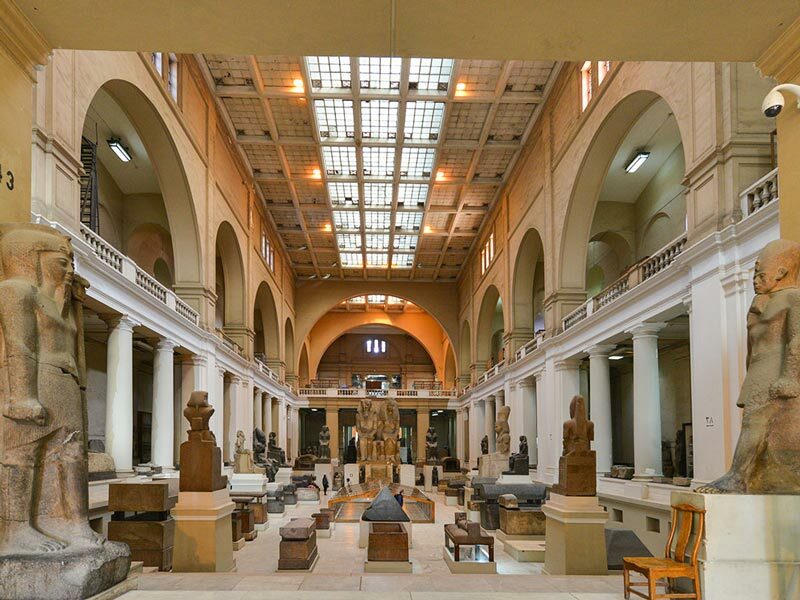 The museum contains more than 200 thousand artifacts dating back to many eras, especially in the era of ancient Egyptians. Afterward, your tour guide will transfer you back by a private A/C vehicle to Port Said to end your tours to Cairo from Port Said. Pick up services from Port Said and return. Private Egyptologist guide. Entrance fees to all the mentioned sites.